Among some of the most fascinating things in the Southwestern region of Bangladesh is the beautiful floating guava market of Swarupkathi of Pirojpur. And all of this started 125 years ago when one Purno Mondal from Nesarabad upazila brought back some guava seeds from Goya and planted them in his village home. The guava was a culinary hit with the locality and its fame gradually spread across the country. Today guava is cultivated in five unions of Swarupkathi (presently known as Nesarabad) across 640 hectares of land. The eye-soothing guava orchards on canals over Jhalokathi's Sugandha, Bishkhali, Gabkhan and Sandhya river are Southern region's main places of guava farming. Every day, thousand of tons of guavas are supplied all across the country. Boats are the main transportation for supplying. 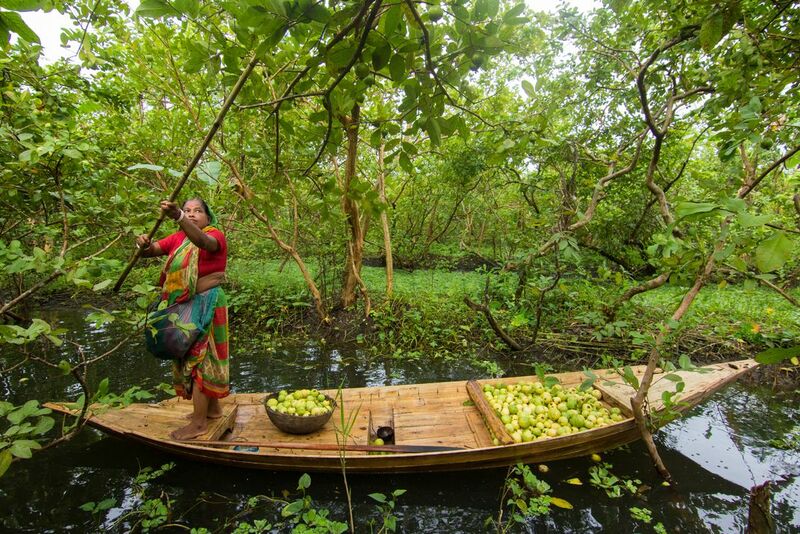 Farmers carry the guavas onto the boats from the river-adjacent orchards. There are hundreds of boats filled with guava and all the trades occur on boats. 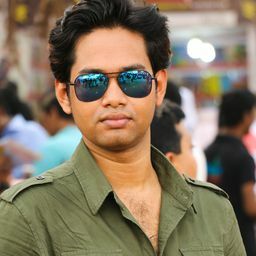 The floating market appears as the centre of Barisal's (aka The Venice of Bengal) beauty. Nobody knows when the idea of this floating market began, but it's a hundred-year old tradition. Development and modernization are taking over the country but it's surprising to see them not reaching to this river-oriented life yet. For more than 100 years, the local farmers have been experiencing the ups and downs of life along with the ebb and flow of the river. Many farmers and wholesalers gather here every day. Date Uploaded: Oct. 9, 2017, 10:02 a.m.